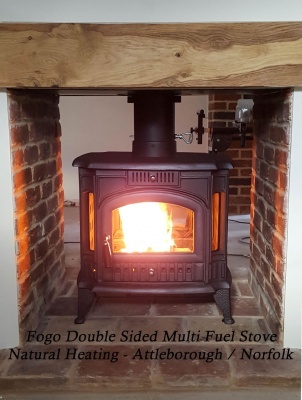 FOGO DOUBLE SIDED Cast Iron Multi Fuel Stove -14kw max (7 > 12kw to room) - Dual aspect / Double Sided- for use between two rooms. 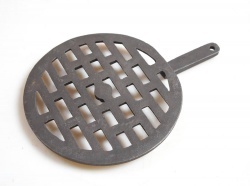 Cast iron is the most heat retentive metal known to man. 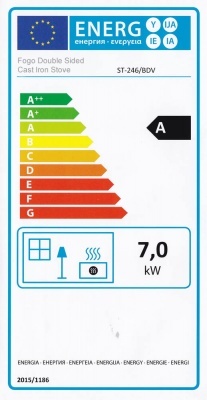 Retains heat far far longer than steel equivalents. 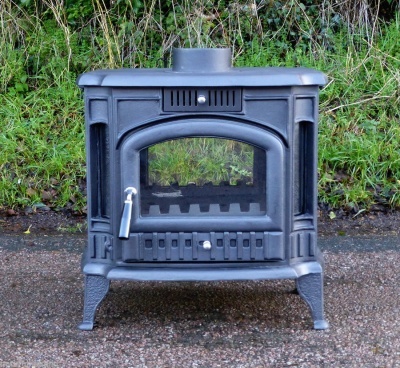 It's basically our standard Fogo stove but with two fronts. The sides are plain with no patterns. 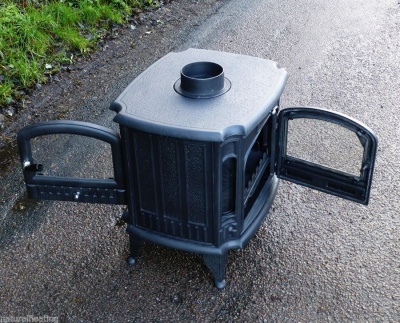 It does have a riddling coal grate but do note that the riddle mechanism can only be operated from one side. 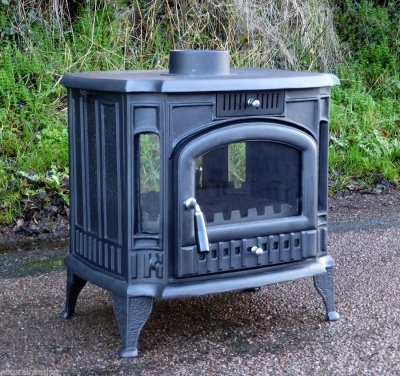 This stove also has the huge advantage of being able to completely remove the coal grate as set up as a wood only burner. 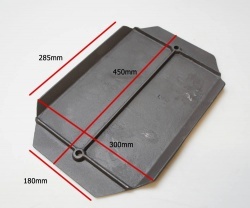 With the grate system removed, simply insert the pair of log retaining bars (supplied as standard). 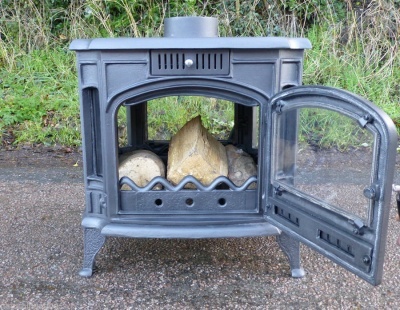 This increases the loading space and allows you to burn wood on a bed of ash for more control and increased burn time.